Call us at (313)-397-1930 today. For more information or to schedule an appointment with our Detroit chiropractor, call (313)-397-1930 today! Dr. Cecil Forbes is a chiropractor serving Detroit and the surrounding area. 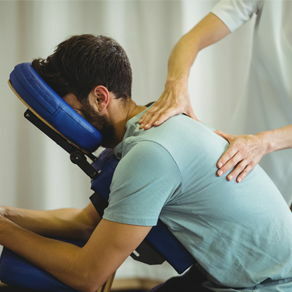 Our chiropractor and the rest of the welcoming team at iCare Spine and Rehab Center are committed to providing chiropractic solutions to address your unique needs, whether you are experiencing back pain, neck pain, headaches, or even muscular tightness and tension. You may be searching for pain relief after an accident, experiencing an injury, or if you suffer from a specific condition like chronic back pain or a spinal condition. Even if you looking to improve your overall health, our chiropractor can help you attain your everyday wellness goals! Visit our testimonials page to find out what our patients are saying about our Detroit chiropractor and our chiropractic care plans. At your first visit to iCare Spine and Rehab Center, Dr. Cecil Forbes will explain how chiropractic care works and give you a full evaluation to see if our chiropractic solutions are a good fit to address your needs. If there is a good fit, we can customize a plan of chiropractic care for your condition and health goals. If you have not been to a chiropractor before and want to find out more, please email us or call (313)-397-1930 to receive the answers to your questions from our experienced team. We also welcome referrals, so we invite you to share our chiropractic and wellness information with your friends and loved ones. "Everything was great from the time I walked in the door till the time I walked out. Very professional explains everything very well you have to go to this place." "Very professional & knowledgeable about my neck/back pain. The office has everything to handle all chiropractic needs. I was very pleased and thankful for Dr. Forbes and staff." "Had a great experience, excellent and immediate relief, I highly recommend"
"Dr. Forbes is a must visit to improve your health. The staff is courteous and professional. I will continue to see this chiropractor. To my Facebook Family make an appointment today. Thank you I Care." 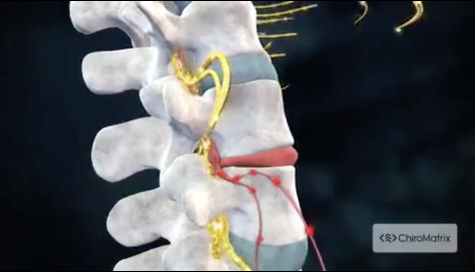 "I am impressed with the procedures Dr. Forbes used to help illiviate my back pain. When I left the clinic I was able to move better without a lot of pain. This morning I noticed how much better my body feels. I believe I was given the best treatment for my ailment and I'm looking forward to many more treatments. Thank you Dr. Forbes for your expertise and your professional, Friendly staff members."